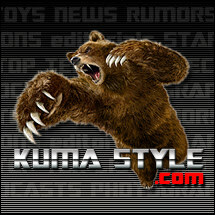 Toy Nippon: BBTS Sponsor News: METAL GEAR RAY, S.H. FIGUARTS MIGHTY MORPHIN BLUE RANGER, MOVIE MASTERPIECE DARK KNIGHT ARMORY SETS and More! BBTS Sponsor News: METAL GEAR RAY, S.H. FIGUARTS MIGHTY MORPHIN BLUE RANGER, MOVIE MASTERPIECE DARK KNIGHT ARMORY SETS and More! ThreeA's new version of MGS2's Metal Gear Ray stands 16.5" tall with a 38.6" wingspan. It comes with an articulated figure base for all sorts of posing options, includes illuminated eyes and cockpit and is loaded with articulation in the wings, legs, torso and mouth. This fantastic piece is listed at $449.99, saving you $40 off of the MSRP. Angel Grove's resident brainiac joins the S.H.Figuarts line in the form of the highly anticipated Blue Ranger from the original Mighty Morphin Power Rangers! As with the previous Black Ranger, the Blue Ranger will feature the second special piece needed to construct the legendary Power Blaster. The upcoming S.H.Figuarts Yellow release will then feature the final part needed to complete this ultimate weapon! The S.H.Figuarts Mighty Morphin Blue Ranger also features the character's signature Power Lance weapon in both separated (two parts) and connected variations. To top it off, the genial genius then includes the Thunder Slinger and Blade Blaster; as well as 3 sets of interchangeable hands to take signature combat poses. Preorder yours today @ $39.99; because it's just the smart thing to do. This set includes a fully stocked armory for Batman complete with remote-controlled lights and Batman figure with multiple face pieces, PERS eye system and more. This set is listed at $384.99. This version has everything from the Armory with Batman Set and adds a Movie Masterpiece figure of Sir Michael Caine as Alfred complete with full outfit. This set is priced at $524.99. The new RAH version of Chun Li comes from Ultra Street Fighter IV. She comes with parts to duplicate her on-screen attacks, a posing arm and an alternate head and hands. She is priced at $219.99. Cammy will be joining Chun Li in this first wave of RAH figures. She includes a removable beret, alternate head and hands, effect parts and a posing stand. Like Chun Li, she will be listed at $219.99. This popular armor suit will soon be getting a Nendoroid figure of its own. It will stand approximately 4" tall and include a base; this figure is listed at $54.99. This fantastic kit is coming back into stock soon. It is loaded with articulation and includes an LED eye unit; we have this kit listed at $210.99, $26 off the MSRP. A good variety of figures are included on our new import exclusive list. Some examples include 100% and 400% Robocop Bearbrick figures, S.H. Figuarts Shin, Auto Vajin and Auto Vajin & Kamen Rider 555, Robot Spirits Geymalk and Leo Blue Version, Cho One Piece Styling sets, XS-07 Nadesico Black Sarena Spec - Fierce Battle and more. Be sure to check the list at the link for all of the new listings. Mario's green-wearing brother is on the way in Nendoroid form as well. He will stand about 4" tall and is listed at $49.99. singly, and he is priced at $14.99. with webbing, a backpack and other accessories. This figure is listed at $64.99. AT-AT, the Millennium Falcon, R2-D2 and a TIE Fighter, and each is listed at $11.99. each listed at $54.99, and each comes with a good amount of accessories. head sculpt. This trio is listed at $43.99, $6 off the MSRP. cape. It stands 6.75" tall and is listed at $21.99, $3 off the MSRP. hands, a name plate and base. It is listed at $54.99. Budora at $44.99, G18 Hunter Soundwave at $29.99 and EG07 Starscream at $10.99. listed at $99.99, saving you $25 off of the MSRP. $99.99, $25 off the MSRP. $204.99, $10 off the MSRP. Chogokin line is priced at $69.99. have singles of Honey Swamp and Viperine Gorgon listed at $24.99 each. signed versions, but is priced at $199.99. packaging and more. They are each listed at $9.99 singly, or as a Set of 6 for $54.99.